This week on the blog we've been featuring projects created using the Expandable Paper Pads, and today we're sharing how mambi Design Team member Thuy Bui (blog | IG) used one of them in its purest form: as gift wrap. By layer a POCKET PAGES™ card and coordinating yarn, Thuy takes the pretty patterned paper to another level. "I love getting creative when it comes to gift giving and I normally always keep plain white boxes in stock to use for packaging. 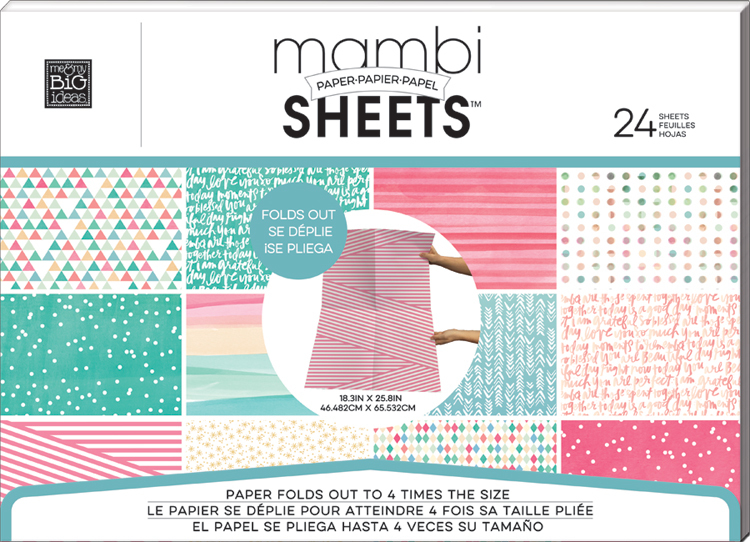 For this gift idea, I used a sheet from the new 'Stay Golden' mambiSHEETS Expandable Paper Pad. I cut the sheet in half and layered it on my package. I then used yarn and pom pom garland and wrapped it around my package. I used a plain card from the 'Botanical Garden' POCKET PAGES™ cards to use as a gift tag and embellished it using washi tape."